169 Beacon is located on the south side of Beacon, between Berkeley and Clarendon, with 167 Beacon to the east and 171 Beacon to the west. 169 Beacon was built ca. 1866 by builder and real estate dealer Paul D. Wallis, one of three contiguous houses (169-171-173 Beacon) he built for speculative sale. He and his wife, Mary Caroline (Pierce) Wallis, lived in West Roxbury. Click here for an index to the deeds for 169 Beacon. On July 1, 1969, 169 Beacon was purchased from Paul Wallis by David Whiton, He and his wife, Ellen (Kelleran) Whiton, made it their home. They previously had lived at the Tremont House hotel. He was a ship chandler and ropemaker. On January 20, 1873, David Whiton transferred the property into his wife’s name. They continued to live at 169 Beacon in 1876, but had moved to the Hotel Vendôme by 1877. On September 18, 1876, 169 Beacon was acquired from Ellen Whiton by Dr. Alexander Brown Wilbor. He and his wife, Ida F. (Littlefield) Wilbor, made it their home. 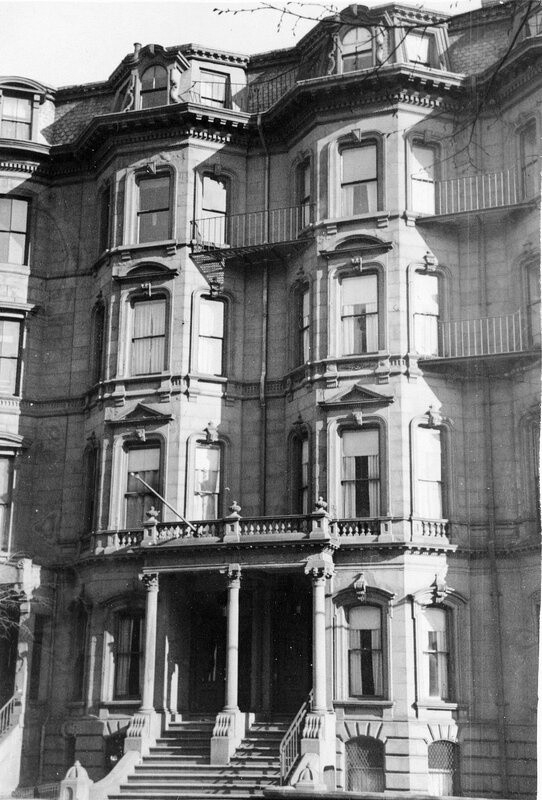 They previously had lived at the St. James Hotel. He was a manufacturing chemist. They also maintained a home in Sorrento, Maine. On June 24, 1892, Alexander Wilbor transferred the property into his wife’s name. They continued to live at 169 Beacon during the 1893-1894 winter season, but moved thereafter to Brookline, where they were living at the time of his death in April of 1896. Ida Wilbor continued to own 169 Beacon and lease it to others. By the 1894-1895 winter season, it was the home of attorney Ebenezer Gay and his wife, Ellen Blake (Blood) Gay. Living with them were their sons, banker Eben Howard Gay and note broker William Otis Gay. They previously had lived at 20 Trull. Eben Howard Gay married in December of 1898 to Cornelia Spalding Fanning. 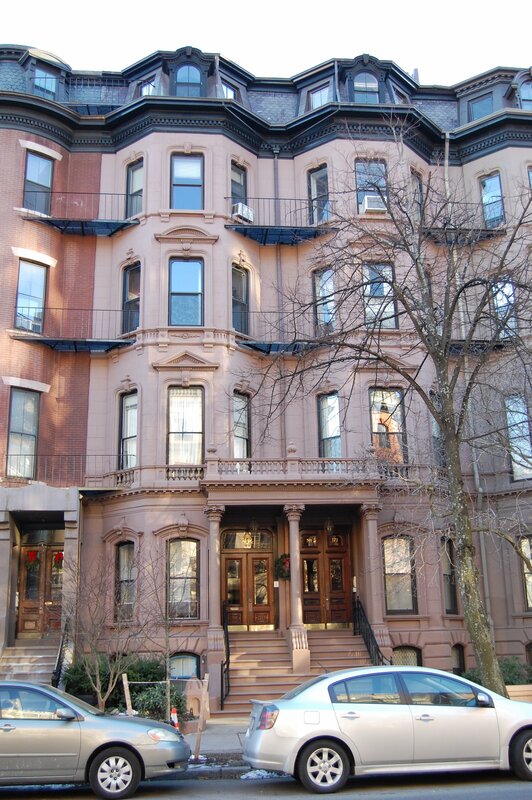 After their marriage, they lived at 169 Beacon, and his parents and brother moved to 187 Beacon. Cornelia Gay died in November of 1900. 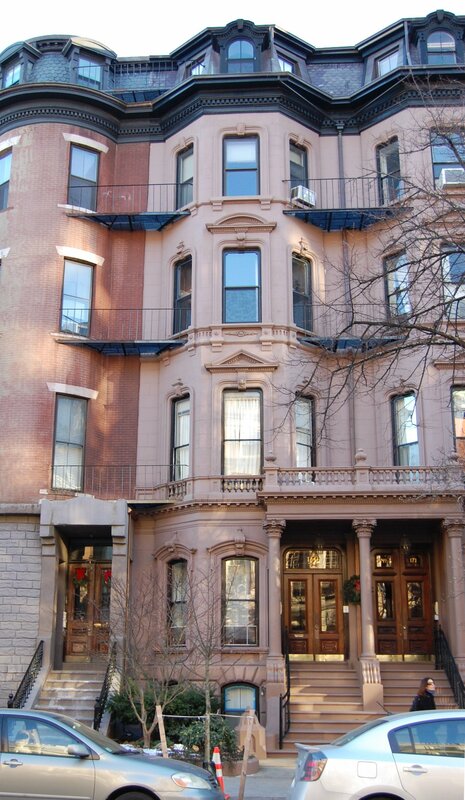 By 1901, Eben Howard Gay had purchased, remodeled, and moved to 170 Beacon. 169 Beacon was not listed in the 1901 and 1902 Blue Books. During the 1902-1903 winter season, 169 Beacon was the home of Henry Salisbury Millard and his wife, Harriet (Stevens) Millard, who operated it as a lodging house. They previously had lived at 125 Beacon, where they also had operated a lodging house. He was a real estate agent and formerly had been a boot and shoe manufacturer in North Adams, Massachusetts. By the 1903-1904 winter season, 169 Beacon was lodging house and medical offices. Among the residents were Dr. Samuel Robinson and Dr. Edwin A. Locke, both physicians, who lived and maintained their offices in the house. Dr. Robinson married in April of 1905 to Ellen Derby Bellows, and by 1906 they had moved to an apartment at The Marlborough at 416 Marlborough. At about the same time, Dr. Locke moved his home and office to 117 Beacon. 169 Beacon was not listed in the 1906 Blue Book. By 1907, it was the home of Charles Henry Bingham and his wife, Elizabeth (Mead) Bingham. Charles Bingham was a railroad conductor, and they operated 169 Beacon as a lodging house. They continued to live there in 1908, but by September of 1908 (when their only son, Charles, died) they had moved to 142 Beacon. 169 Beacon remained a lodging house with multiple residents until about 1910. In 1910, Sturgis Coffin, II, and Arthur H. Taber, real estate and mortgage dealers, brought suit against Ida Wilbor and secured a writ of attachment to recover $175 which she owed them. The property was sold at a sheriff’s auction on September 17, 1910, and purchased by Charles F. Cogswell. On October 7, 1910, his interest was purchased by Ida Wilbor’s son, Rufus Littlefield Wilbor. On November 14, 1910, Albert E. Gladwin foreclosed on his mortgage to Ida Wilbor and sold 169 Beacon to Susan Carberry (Lay) Wharton, the wife of William Fisher Wharton. On the same day, she also purchased Rufus Wilbor’s interest in the property. William Wharton was an attorney. He had served as First Assistant Secretary of State during the Benjamin Harrison administration. William and Susan Wharton made 169 Beacon their Boston home. They also maintained a home, The Elms, in Groton, which had been their primary residence in 1909 and 1910; in 1908, they had maintained a Boston residence at 168 Beacon. William Wharton died in May of 1919. Susan Wharton continued to live at 169 Beacon. Their son, Philip Wharton, lived with her. By the 1920-1921 winter season, she also had been joined by her son-in-law and daughter, Henry St. John Smith and Constance (Wharton) Smith. 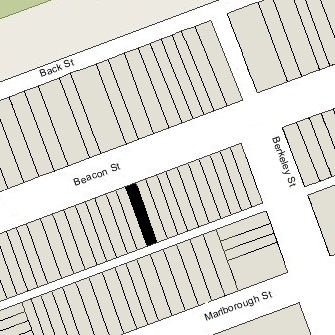 They previously had lived in an apartment at 199 Marlborough. Henry St. John Smith was vice president of the Atlantic Radio Company, wholesale distributors of RCA radios. Susan Wharton spent the 1921-1922 winter season in Groton, and did not resume living at 169 Beacon. Philip Wharton and the Smiths lived at lived at 169 Beacon during that season, but moved thereafter, Philip Wharton to Groton and Henry and Constance Smith to 300 Beacon. By the 1922-1923 winter season, 169 Beacon had been leased from Susan Wharton by Elizabeth (French) Clark, the widow of mining investor Edward Andrews Clark, who had died in 1922. Their three children — Edward, Geoffrey, and Helen Olivia Clark — lived with her. Prior to her husband’s death, they had lived in Jamaica Plain. They continued to live at 169 Beacon during the 1924-1925 season, but moved thereafter. 169 Beacon was not listed in the 1926 Blue Book. On May 10, 1926, 169 Beacon was purchased from Susan Wharton by Mrs. Isabel Fiske (Edwards) Sherwin and her daughter, Mrs. Eleanor (Sherwin) Goodwin. Isabel Sherwin was the widow of General Thomas Sherwin, former President and Chairman of the Board of the New England Telephone and Telegraph Company. Eleanor Goodwin was the widow of William Hobbs Goodwin, Jr., who had been a banker and note broker. Living with them were Eleanor Sherwin’s unmarried adult children, Edward Vassall Sherwin and Anne Isabel Sherwin, and Eleanor (Sherwin) Goodwin’s son, William Hobbs Goodwin, III, a stockbroker. They all had lived at 150 Commonwealth until September of 1926. William Goodwin, III, married in September of 1928 to Ruth Kempton and they moved to Cambridge. At about the same time, Isabel Sherwin’s son, Thomas Edwards Sherwin, joined her and his siblings at 169 Beacon. He was a widower, his wife, Emily Louise (Blodgett) Sherwin, having died in 1923. Edward Sherwin married in 1939 to Kathleen Crook, and they moved to Concord, where he was a printer. Isabel Sherwin died in June of 1939. Eleanor Goodwin, Thomas E. Sherwin, and Anne Sherwin continued to live at 169 Beacon until about 1946. On March 3, 1947, 169 Beacon was purchased from Eleanor Goodwin and Isabel Sherwin’s estate by Michael (Max) Lilly, a partner in the Lilly Construction Company with his father, Harry Lilly, and brother, David Lilly. Michael Lilly and his wife, Goldie Gertrude (Karess) Lilly, lived at 215 Newbury. 169 Beacon was shown as vacant in the 1947 City Directory, and by 1948 had been converted into apartments. The property changed hands and on November 27, 1956, was acquired by Beacon View Realty Incorporated. In August of 1958, it acquired 171 Beacon. On December 31, 1965, John V. Kunigenas, treasurer of Beacon View Realty Incorporated, transferred 169 Beacon to himself. On the same day, he transferred 171 Beacon to himself and his brothers, Robert P. Kunigenas and Michael C. Kunigenas, Jr.
On August 22, 1979, 169 Beacon and 171 Beacon were purchased from John Kunigenas by the Broderick Development Corporation (Frank H. McCourt, Jr., president). On the same day, it also purchased 136 Beacon, 138 Beacon, and 119 Marlborough.